Runs off with supplies from the reception desk. Everton’s Jordan Pickford was spotted on Sky Sports News running off with a pile of stationery supplies in hand and a staff member at the club’s training ground in hot pursuit. 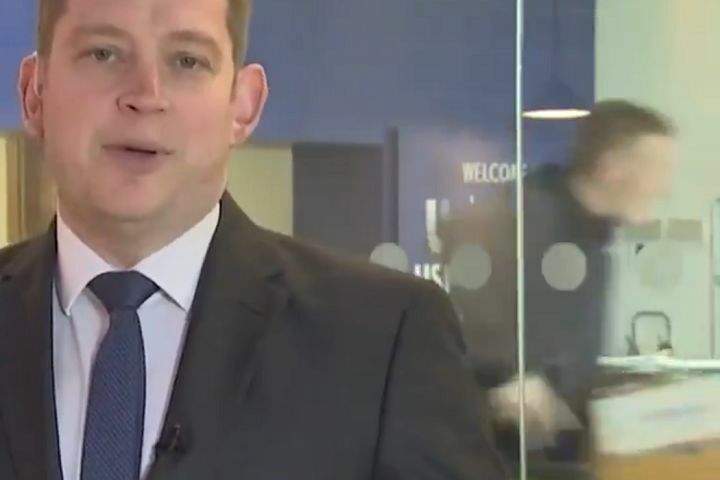 During a live bit to to camera from Finch Farm in the Merseyside town of Halewood on Thursday, the reporter was apparently unaware of the shenanigans going on behind him. Coming out from behind what looks like a reception desk, the Premier League goalkeeper sprints past the shoot with a big grin on his face and piles of printer paper weighing him down. Someone quickly follows, smiling but perhaps not enjoying the game as much as the Everton man.